The town of Kensington was incorporated in 1894 and continues today as a Victorian garden village. It's home to Antique Row - the largest collection of antique shops in the region; local shops and restaurants. With a MARC station in the heart of town and easy access to several Metro stops, Kensington is a fantastic commuter location. Beautiful Victorian homes, a rich history, and the Saturday Farmer's market give Kensington a strong sense of community making it a great place to live. 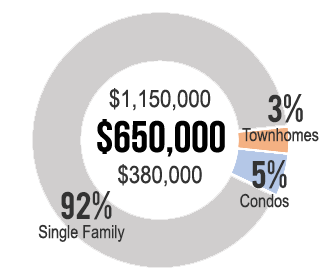 The median sale price for a home in Kensington is around $525,000 making it a moderately expensive area in Montgomery County. When searching for homes in Kensington, include zip 20895. Also include Garrett Park zip 20896. 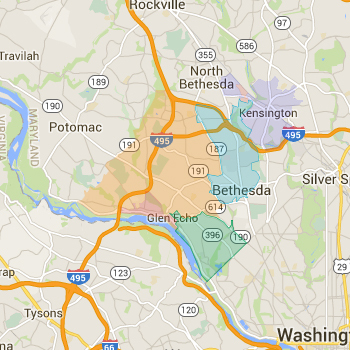 Most homes in Kensington are assigned to the BCC and Walter Johnson Clusters and in the Downcounty Consortium. Always verify a home's school assignment directly with MCPS.